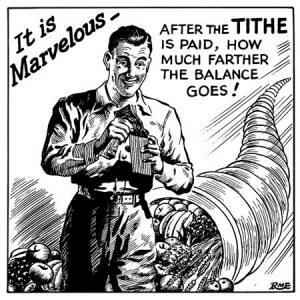 I can't remember just how many pastors across countless denominations and churches, have stressed over and over again the importance of tithing. It is usually followed by verses like the above one from Malachi, Genesis, Corthinians, or Acts to back their push to fill the collection plates. They might even resort to a sob story of how someone was hopelessly and completely in debt. But because this person put tithing to God first and gave 10% from their paycheck that they couldn't afford, God suddenly gave them a raise or money from a lottery they didn't buy a ticket to. Then they throw out the final challenge asking if we won't demonstrate our faith in God by giving freely to God and see if God won't, like Malachi 3, fling open the the floodgates of heaven to us. Interesting how preachers when using Malachi 3:10 seem to always neglect bringing up this verse. Also let us look at their 10% rule. They usually bring up the fact that Abraham gave Melchizedek 10% of his booty from his rescue of the people of Sodom. They seem to forget to mention that up until this point and after Abraham never gave any from his own wealth to God. The only other place where this 10% is mentioned is in the Leviticus. But let us examine those passages shall we? So according to the law of the tithe that God commanded, it was 10% of the LIVESTOCK and the FOOD grown. That doesn't mean 10% of the money earned by people in the city or textiles, etc. This means poor people like that poor widow of Mark 12:42 & Luke 21:2 were completely exempt. Our God owns everything in this universe, why would he ever be in need of money, much less money from people who can't afford it? So a good question is why was the poor widow giving when she was exempt? Most likely the preachers and teachers of her day, the Pharisees and Scribes, were telling her to do so. Most likely they told her one of three lies that are used by pastors and teachers today, especially those in the Prosperity Gospel teachers. God requires you to tithe. If Abraham gave Melchizedek 10% of his wealth, why shouldn't you. God promises if you give to Him, He will give you back 10 times what you gave. In fact He will give you so much you won't know what to do with it. If you set aside the tithe to God first, He will make sure that there is enough for you afterward. Do these sound familiar? The saddest part is that Jesus told His disciples that the poor widow had given everything she had to God. While most consider it her generosity, I note that it was a testimony to just how cut-throat these kind of preachers and teachers can be, to rob even the most destitute among us on pretense it is for God, all the while knowing it is going straight into the coffers of these false preachers and teachers. I also notice God didn't step in to replenish the widow's money unlike what most of these preachers promise. So much for Lie#2 and #3. What we need to remember is that the idea of the tithe was given in Deuteronomy and Leviticus for a reason. It was plainly for Old Testament Israel to keep and therefore support the Levite priests among them who had no land nor agricultural infrastructure to support themselves. It was a means to feed them not a means for them to acquire monetary wealth. Some churches today try to justify the need for the tithe to support the pastor and others who have given up secular careers to go into full time ministry. Does the Bible allow for this? So while it is ok for pastors and people in full time ministry to be supported by their church, it should not be used to as a means to get massive amounts of money from the people on false teachings such as the Prosperity Preachers are using. In fact we get clear instruction from the OT for leaders, esp kings, what to do concerning their own wealth. 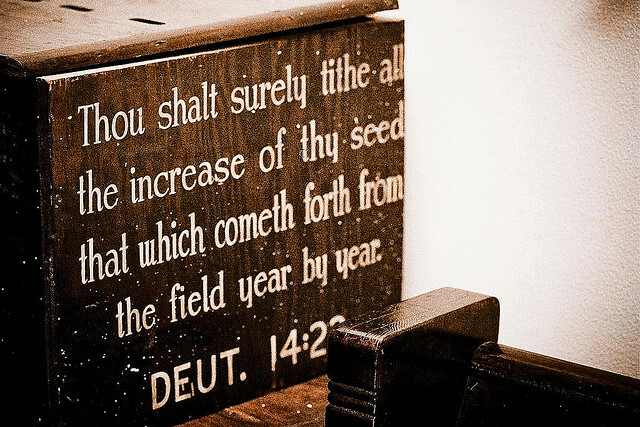 Does the New Testament Require Tithing? Here is something few people know. The New Testament actually does not require a tithe at all. In fact the word doesn't even show up. Nor does it even require or suggest anyone to give to the ministry but rather to the poor and weak. 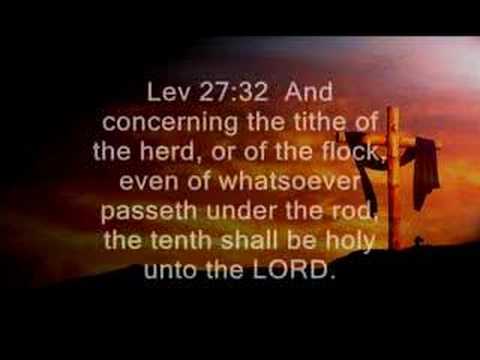 I openly challenge anyone to find any verse in the Bible requiring the tithe for anyone other than Old Testament Israel. 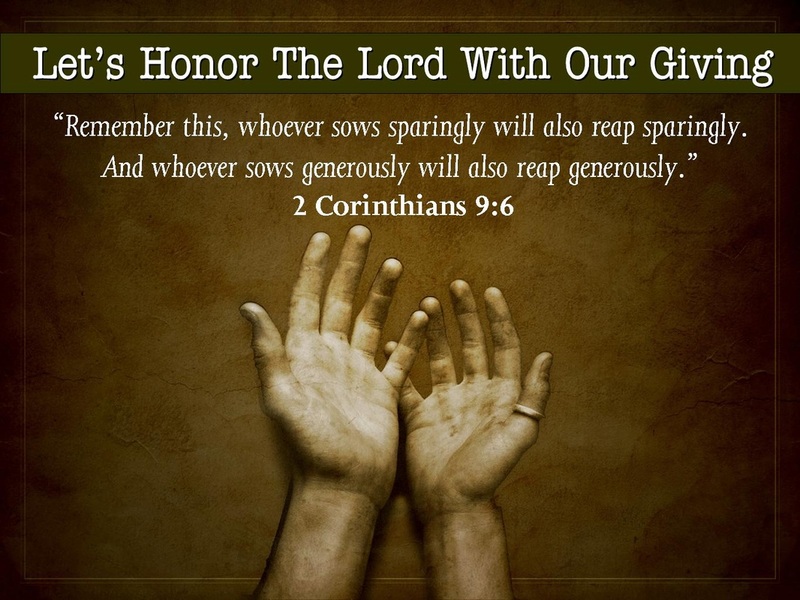 Instead we find just the opposite when it comes to giving to the Lord. Many try to point to God killing Ananias and Sapphira as a classic example of what God would do if you do not tithe. But is not consistent with the Old Testament, since Israel refused to tithe even when it was required from them and no one else. Yet God never killed them for it but rather removed them from their land for worshiping other gods. Notice the crime for which Ananias and Sapphira were killed for was not donating a portion of the sales proceeds, but rather that of LYING that they were giving all the proceeds when they were not. God clearly has no need for money but will clearly not stand for lying since He knows all things. This lesson should strike fear into the hearts of preachers who make promises on God's behalf. God never needs our money and for any preacher to promise you wealth in God's name if you tithe is sin and crime against God. God promises He knows all things and will repay. But this is probably one of the best ways to tell if a preacher loves Jesus or your money. For a true Bible preacher would only ask for enough to live on and support his family and not be consumed with greed, readily bending God's word to squeeze a few more dollars out of people on the false notion that God MUST give back to the giver. Instead a true Bible teacher, fears God and only teaches the message within it which is "Believe on Jesus and you shall be saved." This is why you will never find any solicitation to give on this site. I am blessed enough by God, who provided me plenty to live upon. Instead I only wish that you all receive God's free gift that is unbuyable, unbribeable, and unamaginable. This gift is that of eternal life with God, which can only be obtained by believing in Christ Jesus as your Savior. Won't you take that free gift today? Pray this prayer and accept Jesus, if you haven't already.